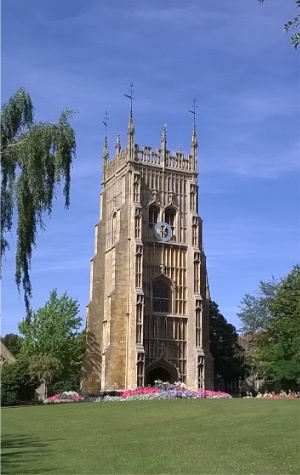 The application for Membership requires that you to demonstrate to the IHBC’s assessors your skills, knowledge and experience in built and historic environment conservation through your application form, with the 'Testimonial' as the the critical evidence-based statement of your skills, knowledge and experience. Membership of the IHBC demands a demonstration of competence across a range of specialist skills, knowledge and experience. 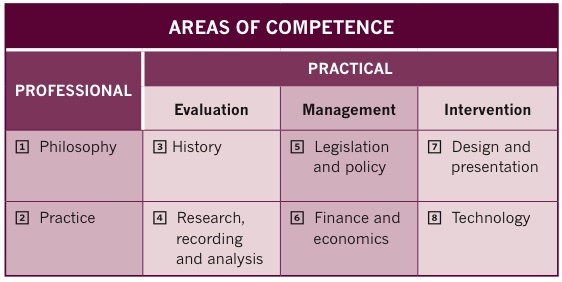 The IHBC’s four Areas of Competence are based on our Conservation Cycle (see illustration below) and consist of the overarching ‘Professional’ Area of Competence, and the three Practical Areas of Competence: ‘Evaluation’, ‘Management’ and ‘Intervention’. For more details see our guidance on Categories and Applying. Applications are assessed by a group of highly skilled volunteer assessors using a scale of assessment from Unaware to Expert. Applications are assessed for each competence and graded as Expert, Skilled, Capable, Aware or Unaware. The individual results are then moderated and drawn together and recommendations for Full, Associate or Affiliate membership as appropriate. Successful applications for full membership will demonstrate at least Capable in the Area of Professional Competence and in TWO Areas of Practical Competence. Successful applications for Associate membership will demonstrate at least Capable in the Area of Professional Competence and in ONE Area of Practical Competence. No Unaware levels in any Area of Competence are accepted in either category. To help understand how the applications might appear we have drafted sample Testimonials in each area of competence, each for a different applicant with a different background. This is intended ONLY to indicate the approach that successful applicants might take, and how applications might be completed for different skills sets, and should not be regarded as a standard for a single application. These must not be copied or duplicated, as they are only a guide to the diversity of applications styles and, as they are based on submissions from genuine applications, how applicants might be viewed by the Assessors. As such, some are very good, some adequate and some less so. Studying these in some detail, and comparing the testimonial and assessment side-by-side, will give you a good understanding of the sort of areas to be covered in your response, how these might be presented in both weak and strong examples AND, respectively, how these might be assessed.